Dechapol Puavaranukroh and Sapsiree Taerattanachai were unstoppable today. 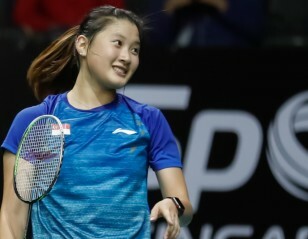 Thailand’s Dechapol Puavaranukroh and Sapsiree Taerattanachai won the biggest title of their career at the Singapore Open 2019 today, beating Malaysia’s Tan Kian Meng and Lai Pei Jing. 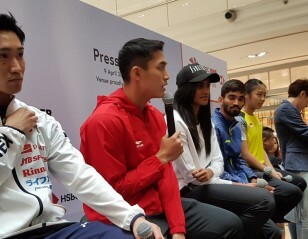 Takeshi Kamura (front) and Keigo Sonoda. The Thais, who had upset top seeds Zheng Siwei/Huang Yaqiong yesterday, destroyed the Malaysian challenge in just 33 minutes. Continuing from where they left off in the semifinals, Puavaranukroh and Taerattanachai’s attacking intensity found no answers from Tan and Lai. “I feel very happy and excited. There was no pressure on us, so we just tried to play our best and concentrate on the game,” said Taerattanachai. 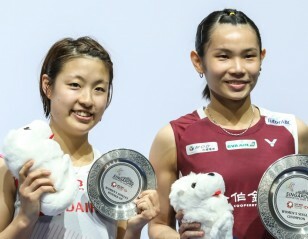 Women’s doubles world champions Mayu Matsumoto/Wakana Nagahara withstood a strong challenge from young Korean pair Kim Hye Jeong/Kong Hee Yong, 21-17 22-20, for their first title since the French Open last year. 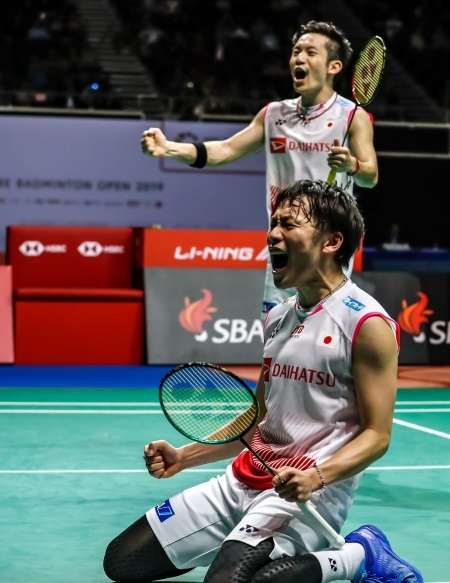 Takeshi Kamura and Keigo Sonoda captured their first World Tour title in nine months, overcoming defending champions Mohammad Ahsan and Hendra Setiawan in the men’s doubles final 21-13 19-21 21-17. Ahsan and Setiawan were at the event at which had begun their revival a year ago. 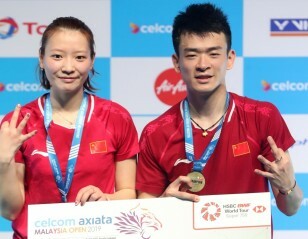 Their defeat of Li Junhui and Liu Yuchen yesterday was achieved in clinical fashion, but today they were a world away from that level. The Indonesians buried themselves under an avalanche of errors, even as Kamura and Sonoda kept them from dominating the front court at which they are so adept. 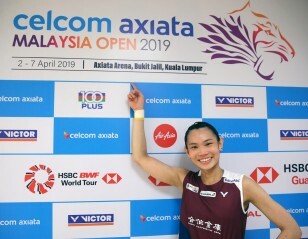 There were phases though when Ahsan and Setiawan had things going their way, particularly in the second game – Setiawan opening up the court with delightful backhand drives either way, and setting up Ahsan’s smash with feathery touch of the shuttle at the net. Yet, with Kamura and Sonoda driving a hard bargain, all it took was a slip at the end for the Indonesians to fall. Ahsan and Setiawan had a narrow lead at 17-16, but a lucky netcord for the Japanese, and then it slipped away quickly.